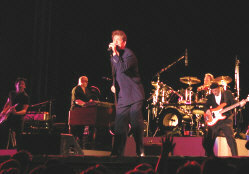 Huey Lewis and the News have been defying the rock odds-makers for more than two decades. Their contagious brand of straight-ahead rock 'n' roll has outlasted countless trends, selling more than 30 million albums worldwide in the process. They've carried the banner as the quintessential American rock band, endearing them to millions of fans and earning them the right to mark their place on the pop history map. With favorites, like 1983's "Heart and Soul," 1984's "I Want A New Drug," their beloved anthem "The Heart Of Rock 'n' Roll" and 1986's "Stuck With You," all culled from their back-to-back multi-platinum albums, "Sports" (1983) and "Fore!" (1986). In addition, their infectious "Power Of Love," from the 1985 hit film "Back To The Future," which went all the way to Number 1 on Billboard's singles chart (the band's first chart-topper) was nominated for an Academy Award. 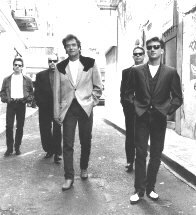 Huey Lewis and the News have been stoking the rock fires since their humble beginnings in Bay Area rock clubs of the 1970's. Formed officially in 1979, their only formula has been to perform and record with sweat on their brow, and their heart and soul firmly planted on their sleeves. They have delivered multiple albums worth of bustling, optimistic music that fan the flames of rock 'n' roll's more spirited roots. The News, which features saxophonist Johnny Colla, drummer Bill Gibson, guitarist Stef Burns, keyboardist Sean Hopper, and new bassist John Pierce, who replaces outgoing member Mario Cipollina, have always been known as musician's musicians. From Huey's legendary shows with his former band Clover in the late '70's, to the News' Bay Area reputation as rock troubadours (a little known fact is that some of the members performed backup on the first Elvis Costello album), to their critically acclaimed homage to rock and R&B on the 1994 album "Four Chords And Several Years Ago," the band's simple mantra, according to Huey, has been to "always keep it pure, keep it honest." Huey Lewis and The News may be available for your next special event! booking entertainment, such as major name entertainers or celebrities, booking Huey Lewis and the News, booking information on Huey Lewis and the News, or hiring Huey Lewis and the News for your special event, or to book or hire Huey Lewis and the News, or if you are seeking the Huey Lewis and the News booking agent for corporate entertainment or for a private party. Consider the opportunity to book Huey Lewis and the News or other entertainers for a wedding, birthday, anniversary, business meeting or convention. If you are not a talent buyer, we are unable to provide Huey Lewis and the News manager or management contact information. Consider this your official Huey Lewis and the News booking agency web site – The booking agent who works for you! This company acts as an entertainment consultant or broker/producer and does not claim or represent itself as the exclusive agent, representative or management of Huey Lewis and the News. 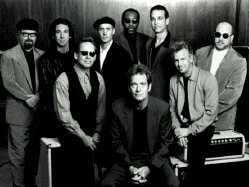 Huey Lewis and the News, rock music artists - booking agent. This group may be available for your event. Book them if you can. You will have the time of your life!